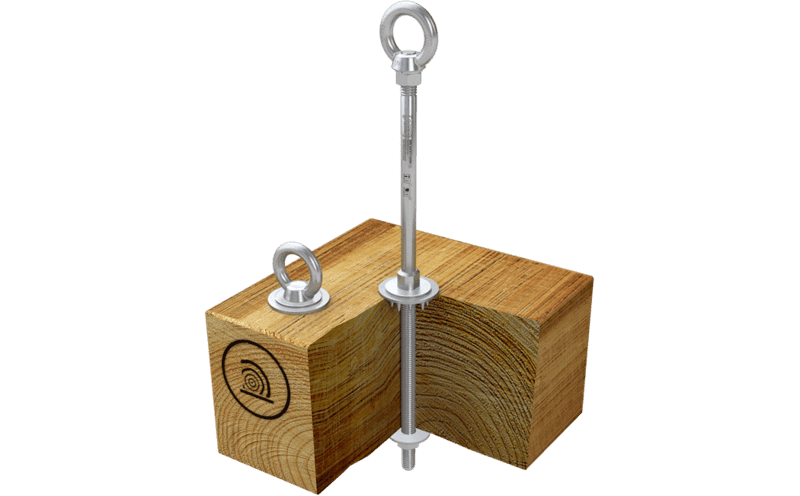 For a high load-bearing capacity in any direction, simply insert this stainless steel anchorage point (Ø 16 mm) through a pre-drilled hole in a wooden beam and counter it on the other side. 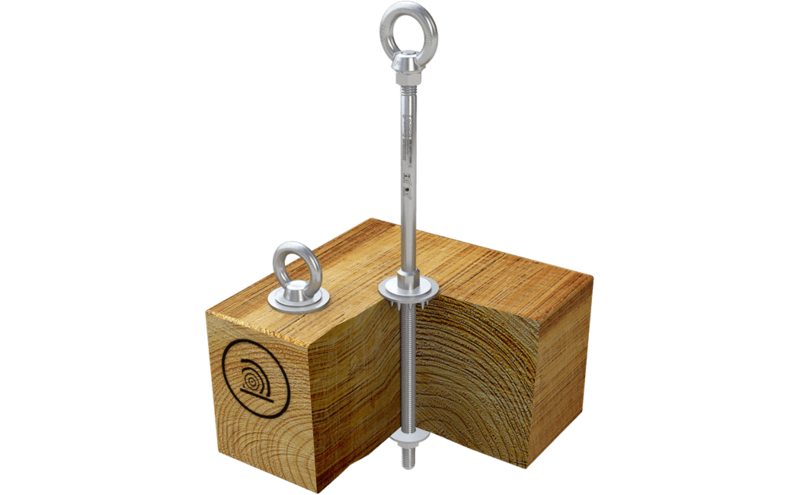 This anchor is available with and without a protrusion and can be installed on the ground, laterally or overhead. Once you have installed your ABS-Lock III-HW anchor in a load-bearing beam and countered it accordingly, your device is ready to take on any direction of load: You can install it on the ground or overhead, exert it to lateral or axial force and use it as either a single anchorage point or a system support in a lifeline system. This fall protection device - specially designed for wooden structures - serves as an anchor capable of securing up to 3 individuals simultaneously. The stainless steel anchor rod is 16 mm in diameter. All you need to do is pre-drill a hole through the beam, screw the anchor rod in and counter it on the other side. All the required installation materials are included in our standard package. Upon request, we can supply both protruding and non-protruding versions of our ABS-Lock III-HW model.